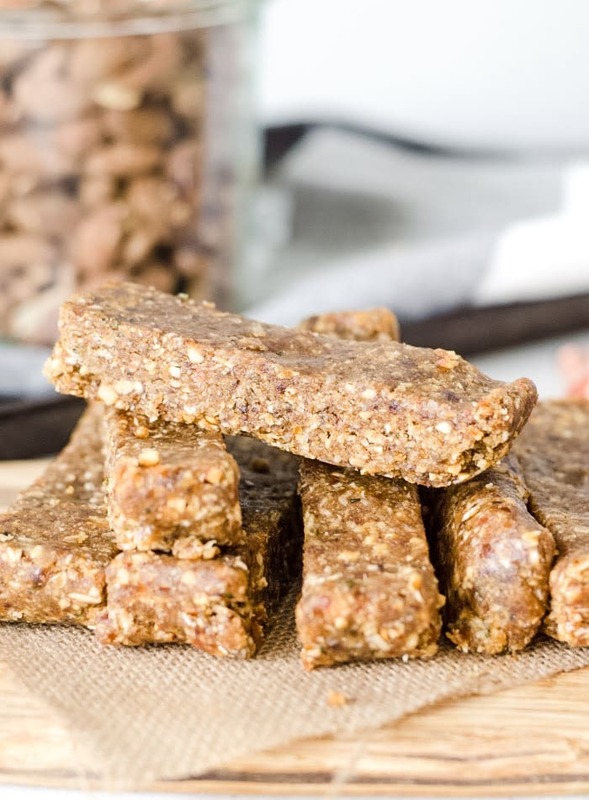 These no-bake oatmeal bars are super easy to make with just 6 wholesome ingredients. 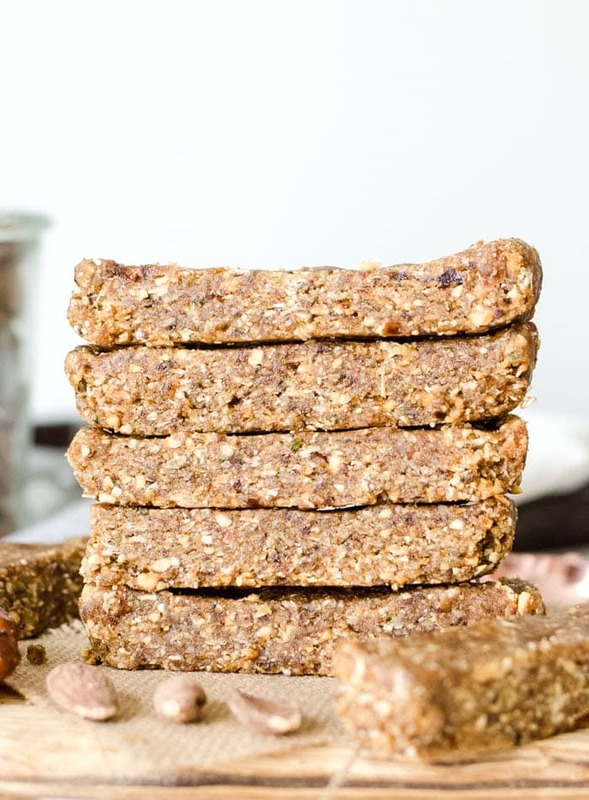 They’re vegan, naturally sweetened, naturally gluten-free and contain 8 grams of protein per bar. All you need to make them is dates, oats, almonds, peanut butter, hemp seeds and maple syrup. Try them for a healthy vegan snack or dessert. These would make a great snack for hiking or any other endurance activity. They pack tons of energy, healthy fats and vitamins. If you’re heading out for a day of fun outdoors, try wrapping them individually for an awesome homemade energy bar. You can cut them into whatever size you like, I made mine into 9 squares but you could definitely make them a little larger. If you don’t have any hemp seeds on hand you can sub chia seeds or even ground flax. 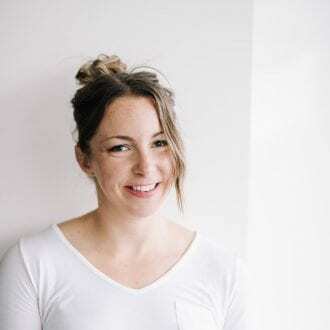 If you can’t do peanut butter, you can go ahead and substitute almond butter, tahini or any other natural nut or seed butter as long as it’s fairly drippy and not too dry. You’ll need it to hold the dry ingredients together. If your mixture is too dry, try adding 1 tsp of warm water at a time until you reach the right consistency. It should stick together but not stick to your hands. Feel free to sample the dough as you go. These have been described as peanut butter candy bars, so ya, they’re pretty good! They’re chewy and just sweet enough with a hint of peanut butter and almonds. Oh, and you only need 6 simple ingredients to whip them up. 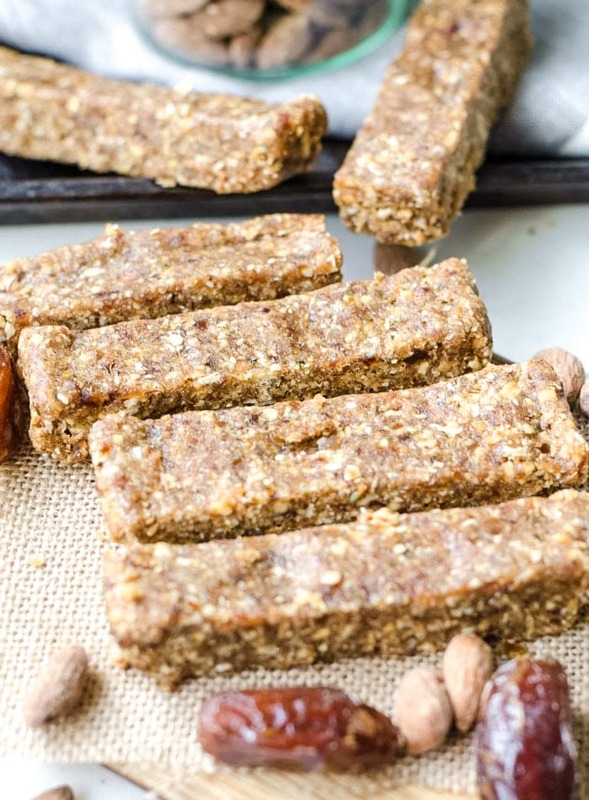 These bars are vegan and naturally gluten-free. 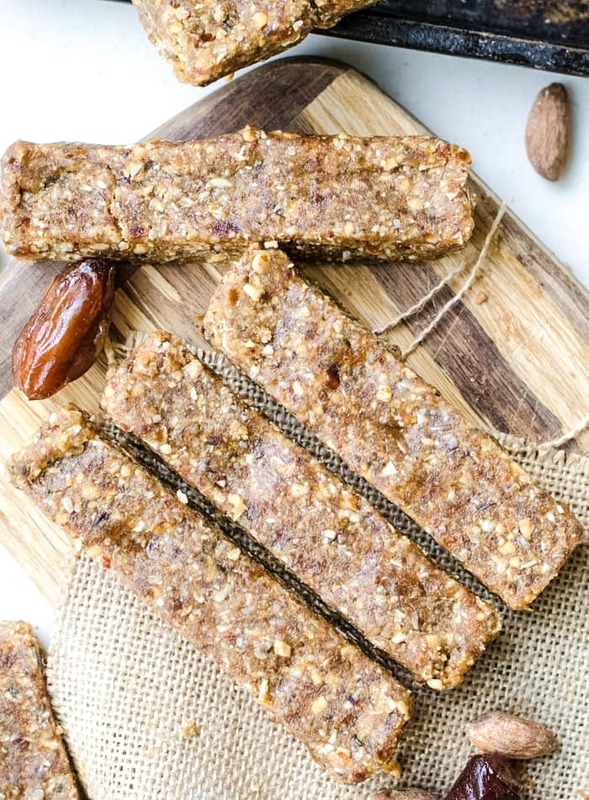 These no-bake oatmeal bars make an excellent healthy snack anytime of day. They’re chewy and just sweet enough with a hint of peanut butter and almonds. Store them in the fridge for a quick snack for busy days on the go, or anytime you need a little treat. Place the almonds and dates in a food processor or high-powered blender and mix until it forms a dough and the almonds are broken down. Add the oats, hemp seeds, peanut butter and maple syrup and pulse until it forms a thick dough. Line a loaf pan with parchment paper or saran wrap then press the dough into the pan. Place in the fridge or freezer for at least a few hours. Cut into 8 squares or bars and store in the fridge in an air-tight container. It’s important to use soft, fresh dates in this recipe as they add moisture and bind the bars. If you don’t have soft dates, pour boiled water over dry dates and soak for 15 minutes then drain before using. 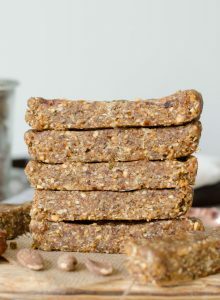 These can be made nut-free by using sunflower seed butter or tahini instead of peanut butter and sunflower seeds instead of almonds. I most definitely just made these… substituted the hemp seeds for some small mixed seeds omega pack I had sitting around et voila! They are in the fridge getting ready to be eaten properly while I impatiently wait a few hours knowing they are delicious because I may well have unashamedly liked my fingers clean after mixing with my hands 🙂 Good one Deryn! Made these tonight, can’t wait to try them! These bars look AMAZING!!! Question, though — I’ve never used hemp seeds. Do you think I could sub chia seeds?? Hi Gretchen!! Thanks for stopping by, I can’t wait to go check your site out too! I’m totally with ya on the morning workouts, it’s so hard to get it done in the evenings! I think chia seeds would work fine, let me know how they turn out! Thankyou so much for this!! With my son dairy , egg and one intolerant this was great hit with the kids. I had to swap the maple syrup and peanut butter for almond butter but loved the fact this is a no bake recipe. Thanks again! I made them and they are fantastic. Didn’t have hemp seeds, but used chia seeds. Highly recommended! !